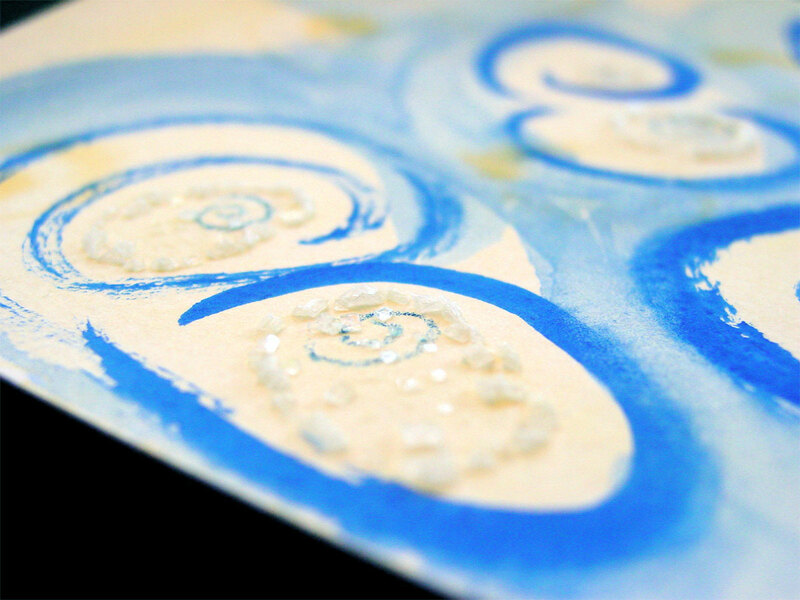 I’ve been wanting something other than plain white for backgrounds on the salt pieces just for contrast, so this time I painted the paper with a very light yellow wash and added in some slightly darker spirals to the mix. 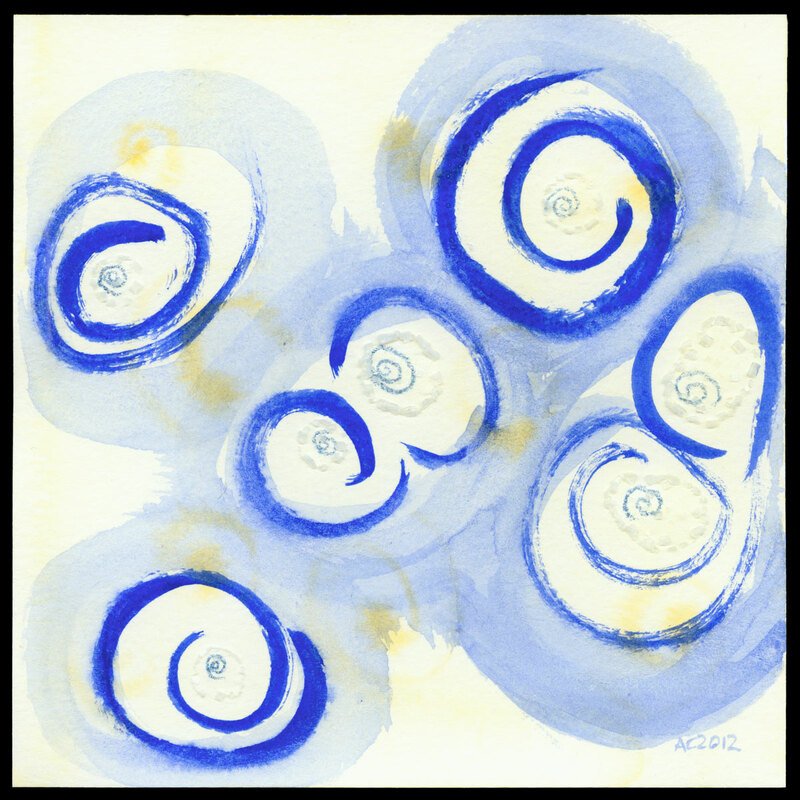 This whole piece is really about spirals, from the little watercolor stick spirals that didn’t dissolve even a tiny bit into the salt, to the big ones around the pools. It gets its name from the shade of blue, of course, ultramarine both inside and outside the salt pools. Ultramarine, 6″x6″ watercolor and salt on paper, $299 framed, with free shipping. In the same way that my scanner likes to think white paper is really blue, my camera often splashes them with red, so I’d say the real color is somewhere in between the detail below and the scan above. Oh, technology.